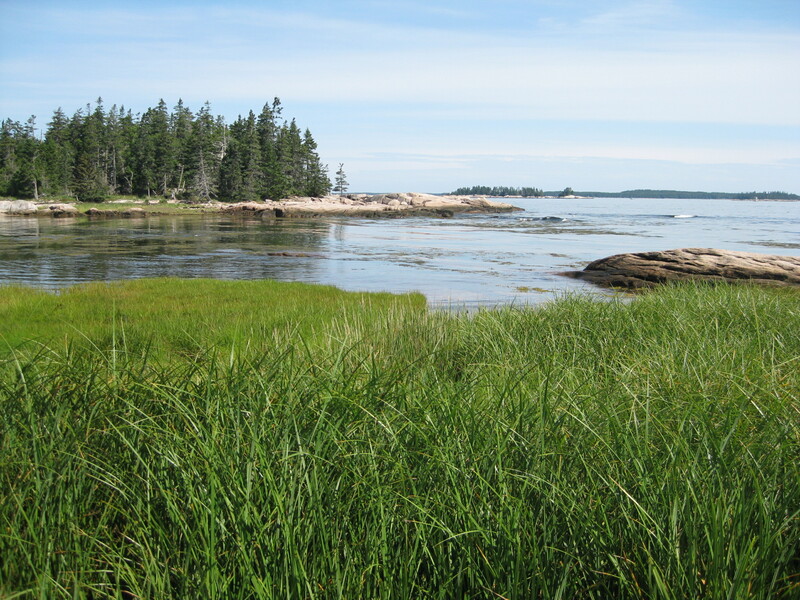 We should all thank The Nature Conservancy for acquiring Great Wass Island in 1978. It ensured this beautiful island will be preserved in perpetuity. To say its 1,576 acres are spectacular would be a gross understatement. 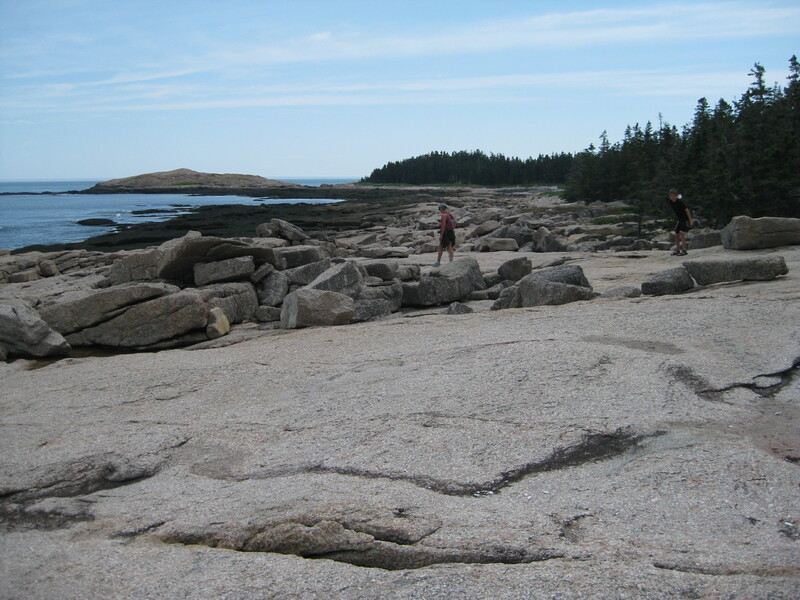 The shoreline consists of pink granite that’s great for walking, even for little kids. Its forests include some of the largest stands of coastal jack pine in the state, which can grow in the thin soil found here. Rare shore plants like the beach head iris, marsh felwort and bird’s-eye primrose thrive in the the harsh coastal conditions. Finally, you’ll find rare maritime slope bogs that formed on top of the coastal bedrock and support rare plants like the baked apple berry. 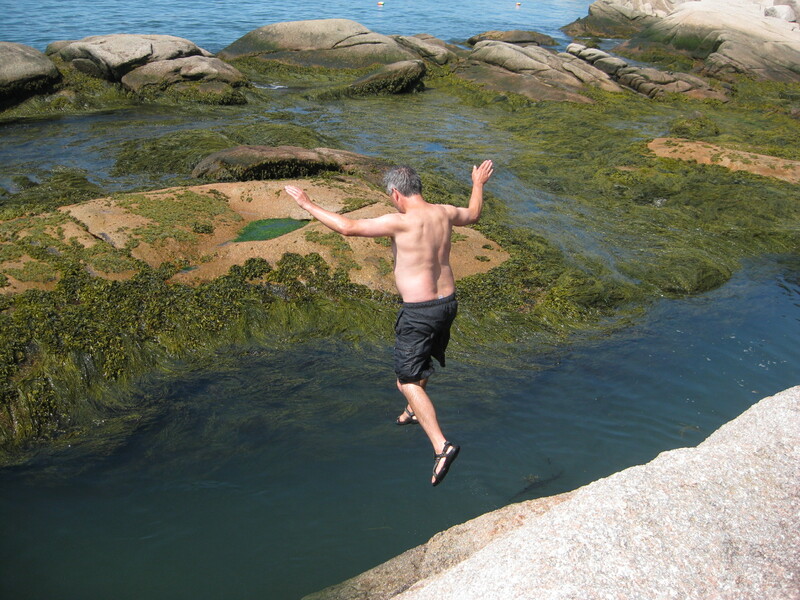 Great Wass juts into the Gulf of Maine about 30 miles dues east of Acadia National Park. This distance from Maine’s most popular tourist destination—the drive from Bar Harbor is about 2 hours—ensures you will have very little company on the island. During my last visit in August, we ran into maybe 6 other people the entire day. There is a small parking lot for about 10 to 12 cars in the northwest corner of the preserve. If the lot is full, you’re out of luck as parking is not allowed on the road. 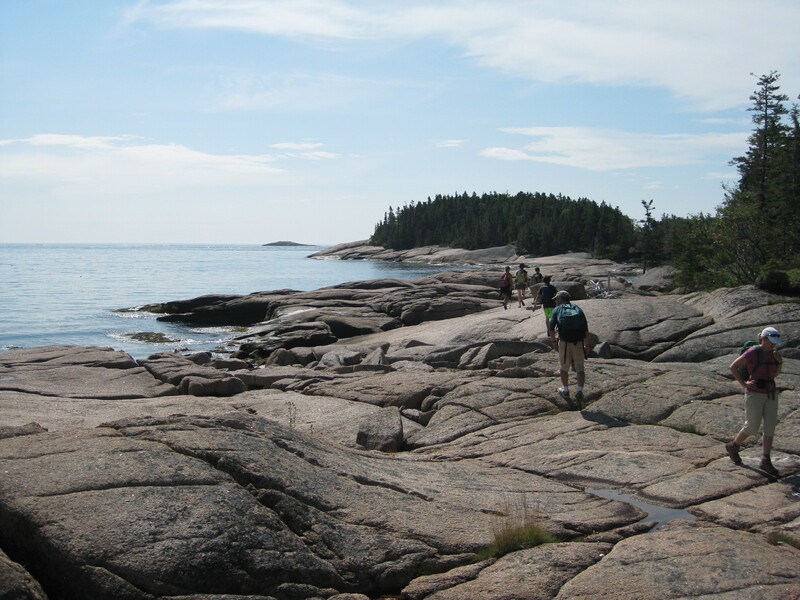 In keeping with its mission to keep the island in a wild state, the Nature Conservancy built only about 4.5 miles of trails on Great Wass, but you can add mileage by walking the perimeter of the island along the rocky shoreline. Dogs are not allowed. My favorite loop is the Mud Hole Trail around Little Cape Point to the junction of the Little Cape Point Trail. 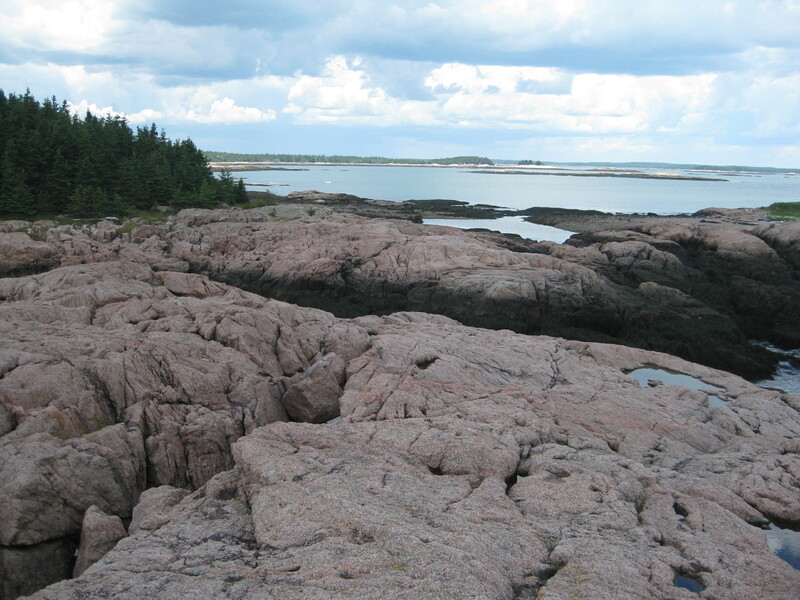 Much of the Mud Hole and Little Cape Point trails are on the pink granite that hugs the water. It’s a lot less rugged than much of the rocky Maine coast I’ve hiked or fished on. It’s relatively smooth although there are enough ups, downs and areas of uneven footing that you still have to be careful. I’ve done the hike with kids as young as 7 so it’s pretty accessible to most ages. You can choose to take the Little Cape Point Trail back across the island to the parking lot or, if you’re adventurous and want to do a longer hike, you can continue on down the shoreline toward Red Head. This adds several miles to the hike but it’s worth it. 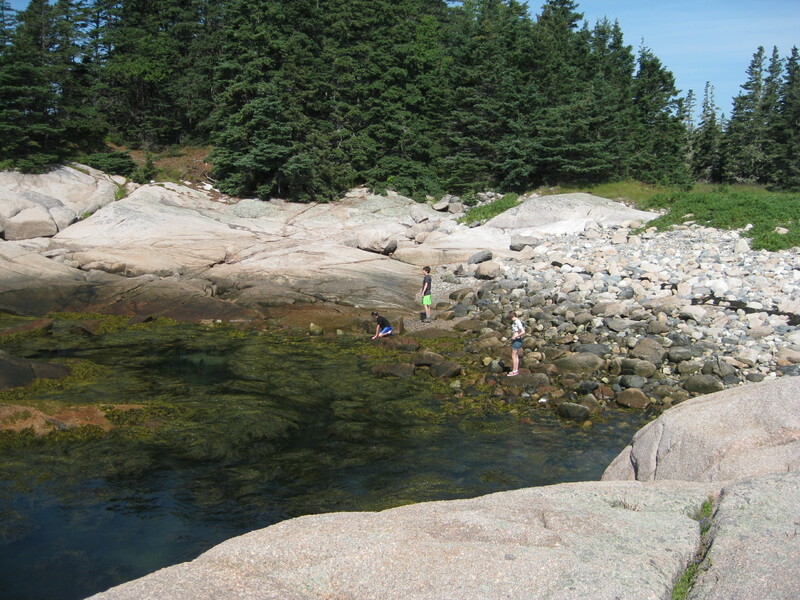 Around the corner from Red Head is The Pond, a large tidal inlet that’s open to the full brunt of the Atlantic Ocean. 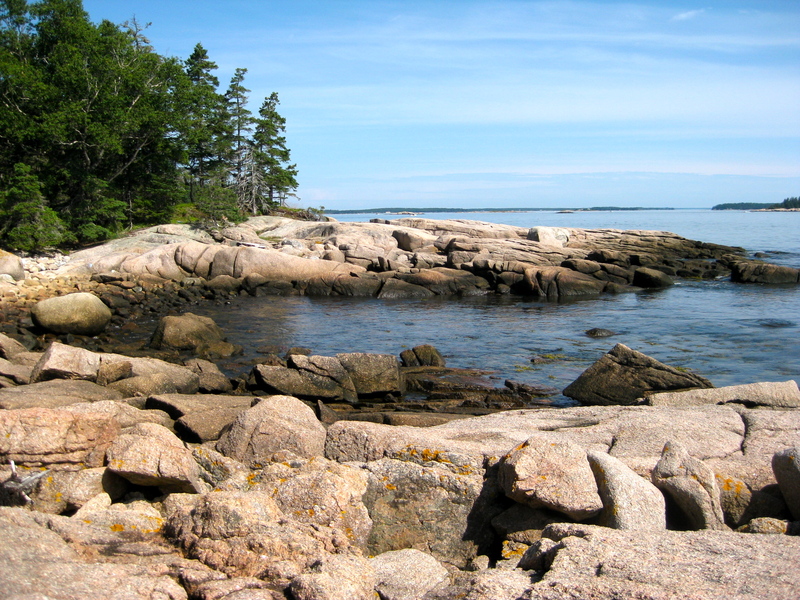 It’s as wild and untamed as the coast of Maine can get. And you’ll usually have it to yourself. Swimming! The water is frigid! No trip to Great Wass is complete without a stop at Bayview Takeout in Beals, located just before you head over the bridge to Jonesport. Their fried clams are famous and some of the best I’ve ever had. They also will give you the largest portion of ice cream you’ve ever seen. Not exactly a healthy meal but after a big hike on Great Wass there’s no better way to recharge your batteries. Throw a cold beer on top of that and you’ve pretty much had the perfect day!